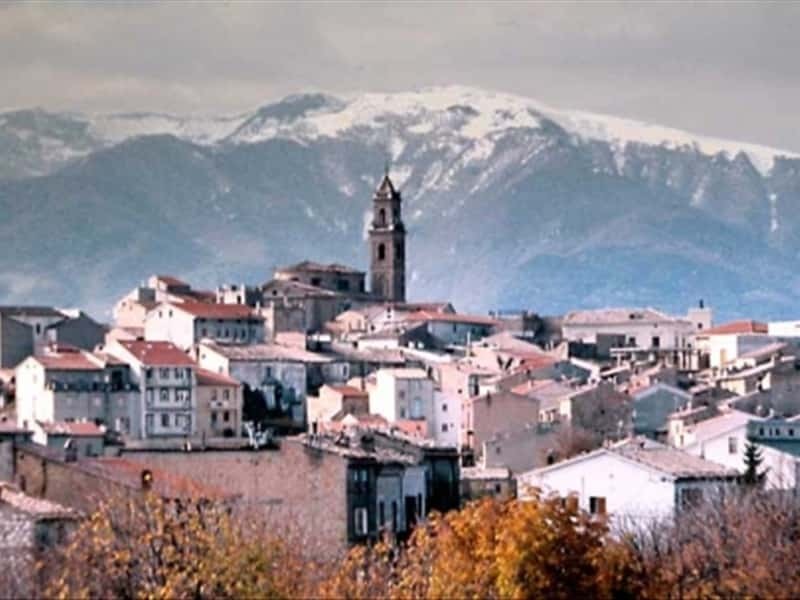 Town in the province of Chieti, the name derives from the ancient name of one of its districts, Rissogna, currently called Fraia, and due to the fact that the area was inhabited by several families of bears (animal, among others, also present in the municipal coat of arms). The town was ruled by the families of Orsini and Colonna (XIV century), until it was destroyed by a terrible earthquake in 1881 and subsequently by the bombings of World War II. - the Church of St. Nicholas, an XVIII century building with the adjacent tower. From the viewpoint, located just opposite the church, it is possible to admire a wonderful panorama over the entire Fraja Valley, characterized by numerous "calanchi" and the imposing massif of the Majella. - the Convent of the Annunciation, built in 1448 by Giovanni da Capistrano, with frescoes of the XVII century. This town web page has been visited 32,558 times.